Like the NS230, this lovely Victorian gaslight reproduction was also designed for the preservation of the Historic Museum in North Carolina. 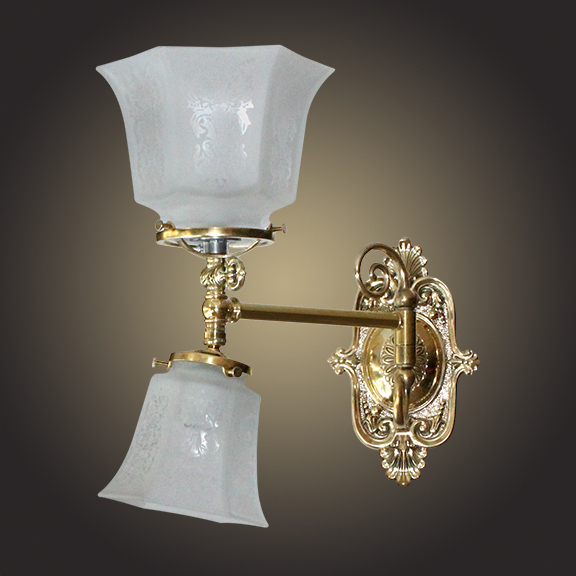 This one is a Swing Arm and is also well suited for bedside lighting. Also designed with optional 15 degree swivel above the lower glass holder. Width 7 In. / Projection 13 In. / Depth 13 In.